The Volvo Cars brand is in the midst of what could just turn out to be quite the transformation. Indeed, with the launch of the widely acclaimed second-generation Volvo XC90 in late 2014, the Swedish automaker took its first public step towards the sort of success that seemed impossible during its final years under Ford ownership. And now, still boasting the considerable backing of the Chinese automotive giant that essentially rescued it, the Gothenburg-based manufacturer has taken the wraps off its next flagship sedan: the 2017 Volvo S90. This sleek premium saloon – which replaces the largely forgettable S80 – is Volvo’s answer to the likes of the BMW 5 Series, Mercedes-Benz E-Class, and Audi A6. And it really will play the role of brand flagship, seeing as the company doesn’t currently build a barge to battle the 7 Series, S-Class, and A8. Although the S90 will make its official bow at the North American International Auto Show in Detroit in January 2016, the company has already been quite generous with information about the newcomer. So much so that we already have a feel for just how well it may do. Yes, the S90 is closely related to the XC90. And that’s significant since the luxury crossover has been rather well received since its launch, catching both the attention of the motoring media and the cash of the buying public. Indeed, the striking SUV has been the driving force behind the brand’s recent resurgence. The S90 shares much with its SUV sibling, including its Scalable Modular Architecture platform. The powertrain line-up, too, is expected to largely mirror that of the XC90, which means there’ll be a bunch of four-cylinder engines (and nothing bigger) on offer as Volvo continues its efficiency chase. The brand has furthermore confirmed that the T8 Twin Engine plug-in hybrid powertrain first seen in the XC90 will be available, promising a pleasing mix of power and economy. Of course, the two models also share a wealth of on-board technology (plus similarly plush cabins) and more than just a few smart styling cues, too. Again echoing the XC90, Volvo’s upcoming executive saloon will feature a semi-autonomous driving feature called Pilot Assist. But this system – which delivers “gentle steering inputs” to keep the vehicle in its lane – is now in its second generation, and Volvo says it no longer needs another car to follow. Indeed, it’ll go about its business on the highway without inputs from the driver’s hands or feet at speeds of up to 130km/h. For comparison, the XC90’s system works only at speeds of 50km/h or lower. The S90, then, is clearly pushing the envelope in the area of semi-autonomous driving as the brand strides towards one of its stated goals: a true self-driving vehicle. If we were to spit out the word “Volvo” during an impromptu word association game, chances are you’d counter with “safety”. Yes, the Swedish automaker has built its reputation on safety, engineering a number of innovations in the field, from the three-point seat-belt to the rear-facing child-seat. In fact, the manufacturer has more than once stated its bold goal of completely eliminating traffic deaths and injuries in its new vehicles by the time 2020 rolls around. Naturally, then, the Volvo S90 features all sorts of nifty technology to keep everything pointing in the right direction. It picks up where the XC90 left off, boasting items such as autonomous emergency braking, a self-parking feature, a 360-degree camera system, and even pedestrian detection. 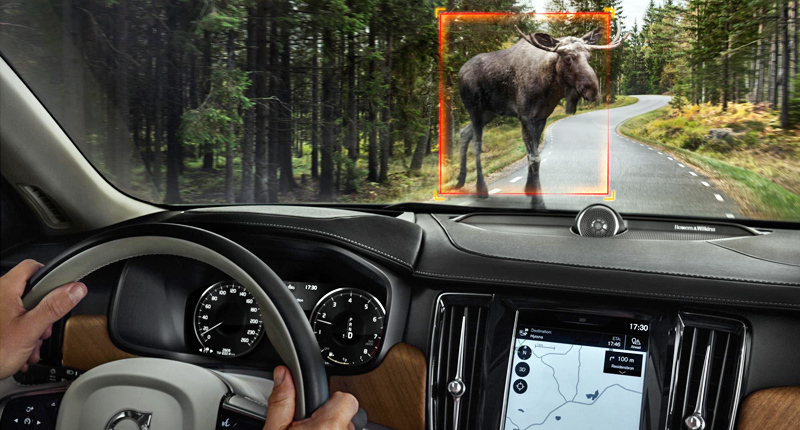 But it also adds large animal detection, a night-or-day system that offers “intuitive warning and brake support” to help avoid a collision. 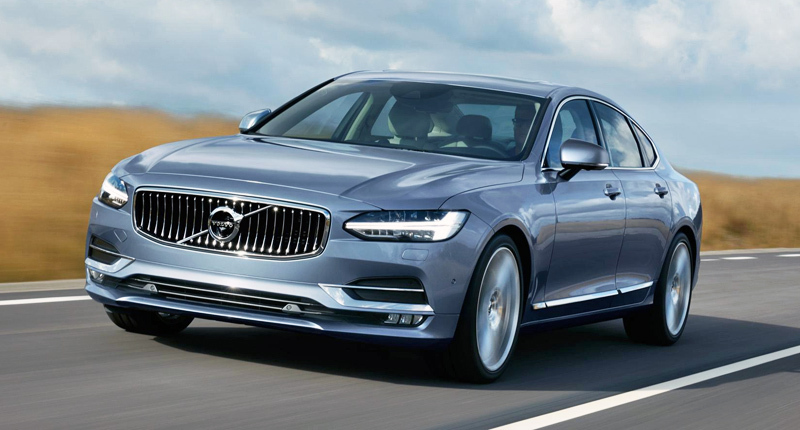 On paper, the new Volvo S90 is certainly enticing. Indeed, with the right powertrain fitted (we’re looking at you, T8 Twin Engine) and the right options boxes ticked, the executive saloon looks like it’ll be relatively rapid, properly comfortable, and bursting at the seams with tech. 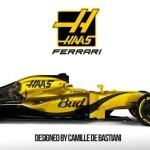 But its appeal may well be further widened once more models are added to the range. China, of course, can expect a long wheelbase derivative, while a V90-badged estate is also a virtual certainty. And the company’s senior vice president of design has already hinted that a coupe version is on the cards for 2020. The Japanese have tried. The Koreans have tried. The British have tried. Hell, even Volvo itself has tried. But all have pretty much failed. Yes, the Teutonic Trio have a stranglehold on this segment, luring the overwhelming majority of available buyers and leaving the non-German brands fighting for mere scraps. 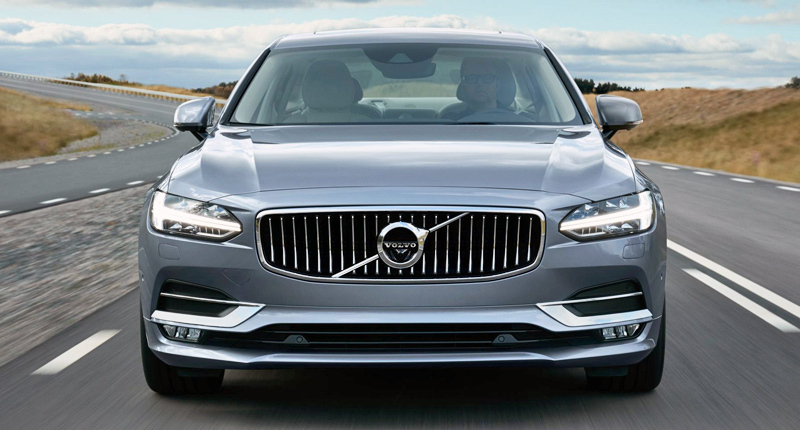 So, does history dictate that the Volvo S90 will fail? Well, that all depends on one’s definition of success. Volvo will likely not be targeting the sort of volume currently being achieved by the Germans. 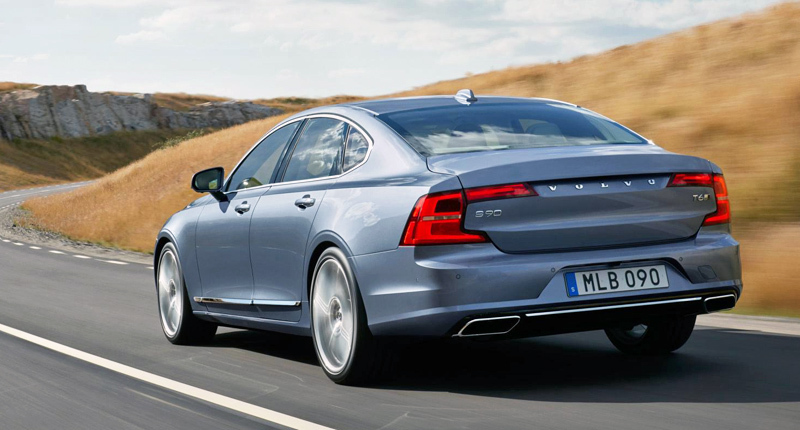 But it will likewise not be content positioning the S90 as a mere alternative, either. In short, we shouldn’t expect the Volvo S90 to leap to the top of its segment’s sales charts, even if it turns out to be a markedly better product than the established German offerings. But we should see it – alongside the XC90 and a barrage of upcoming new products – start to drive Volvo down a new path towards mass-market relevance.